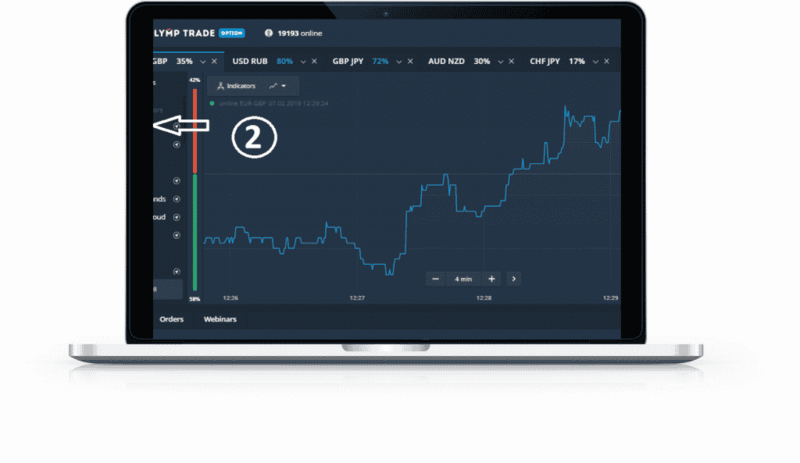 Do you have an Olymp Trade account already? And how much money have you earned on it since starting to trade with the real account? Have you earned – USD – 1,000; Ksh. 502,000; JPY – 900; INR – 39,000; EGP – 12,000 or just as much as MYR -300,000? Really, how much money have you made with your Olymp Trade account so far! The past really doesn’t matter. What matters is how you trade to make consistent profits – going forward. And if you ask me how to achieve that; I’ll almost immediately recommend that you start using trend indicators to call or put options. To help you get the concept right, I will use this post to talk about one indicator only. The simple moving average, SMA or the ordinary as it is often refereed. Note that there are many other indicators though! Like the Parabolic SAR indicators, Sentiment, Bollinger Bands, EMA, The Ichimoku Cloud, Zigzag, WMA, Average Directional index and Alligator. We will discuss each of them later – on separate posts. 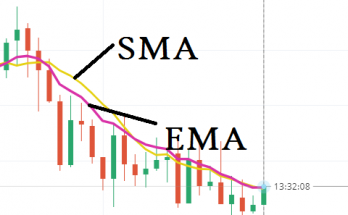 What is SMA Trend Indicator? 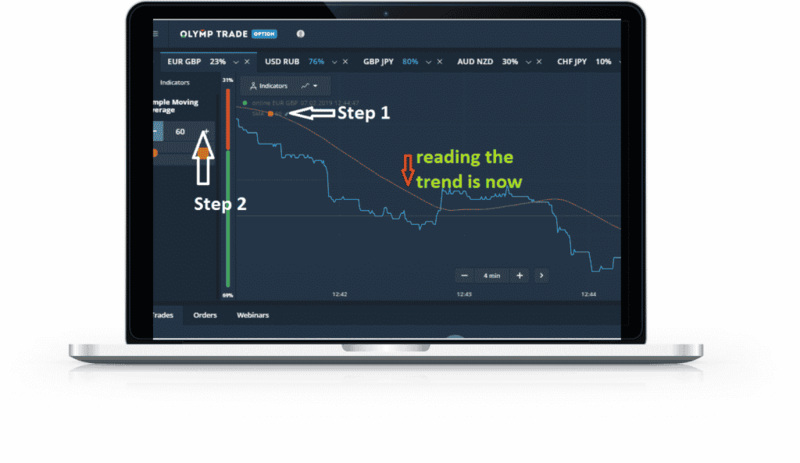 SMA trend indicator is a trend tool used by traders and market analysts to pick consistencies in charts. 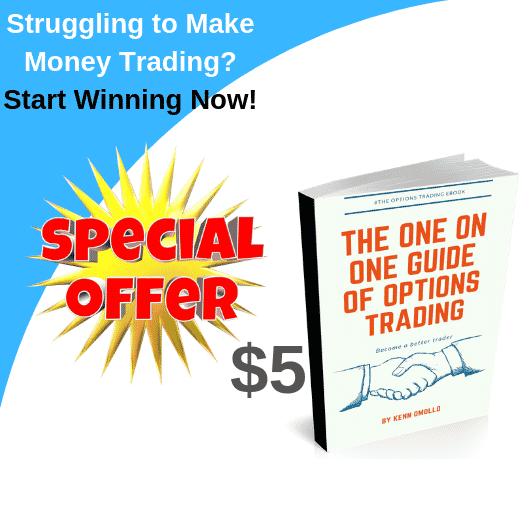 Traders then use these consistencies to make or increase online trading profits. 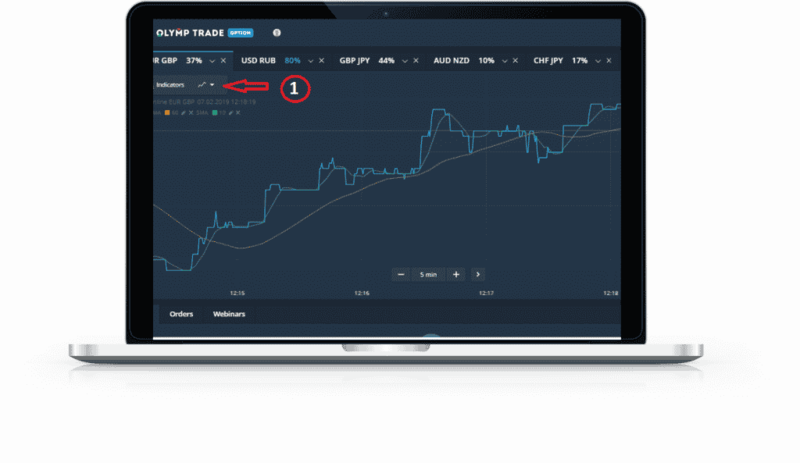 The simple moving average tool is literally smacked onto the chart to form a thin line(s) which moves along the trading chart. 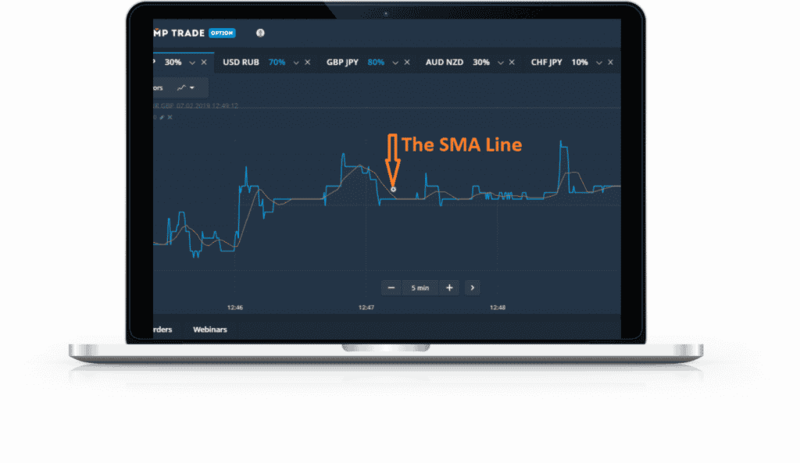 Ordinarily, SMA is beneficial to all beginning and experienced traders who are really serious about making consistent profits while trading online. SMA stands out from the rest of the indicators because it is calculated with the simplest formula in the class. It is also prefered because it is easy to construct and read. After picking the SMA analysis tool the only parameter which you will be able to change in the settings is the number of price periods used to calculate the average. Note that each line is presented to a standard period of 10 but you can still average it depending on what you want to use your SMA line for. If your intention is to use it for a short analysis of up to 15 minutes then select your period to be in the range of 5 and 10. Alternatively, do a period of between 15 and 20 for an accurate medium-term analysis. In practice, you can set the SMA trend indicators and make changes following the steps below. If you don’r already have an account, use this registration form to create one. 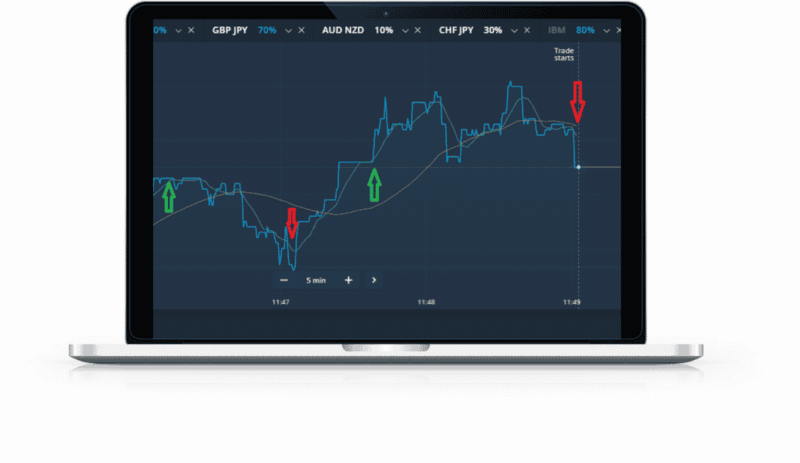 Click on the A symbol (indicator) on top of your chart – on the left. A list of all available indicators will pop on the edge of the chart. It is the first option in the list. And be cautious not to click on it twice. 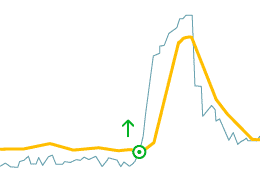 An orange line will be added to your chart and it will immediately start moving along the chart as seen in step 4. The line moves together with the chart because it is put to standard settings. You can however change it to get clear results. And to pick trends first. Can you now read any trend with the line you set? And that’s why instead of ending the guide here I will continue further to show you how to make your SMA line better. 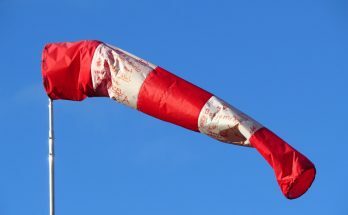 Now that you have your SMA line, it is time to make it easy to read. Locate and click on the pencil (edit icon) on the chart, next to your SMA tool. Use the adjusting tool in step 2 to spread your line – personally my lines are spread from 10 to 60. Doing this makes the SMA line streamlined like it is shown in the chart below. This makes it easy to pick the current trend. 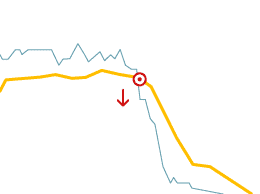 In this example, it is easy to tell that the trend is on a downward movement. So if you wanted to win more you’d put an option rather than call. You can also change the color of the line if you want to. Simply click on the orange box under the simple moving average adjusting tool and change to whatever color you prefer. If you monitor and see the SMA rise above its average, then the indicator’s ascending movement will continue. And when the chart crosses the indicator upwards from below, it likely signals a rise. On the other hand, a fall of SMA lines below average imply a descending trend. Meaning that when the chart crosses the SMA downwards from above, it likely signals a fall. 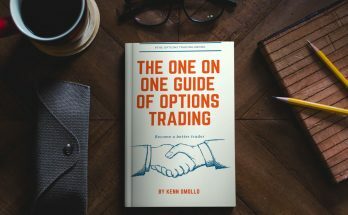 How do i open trade on time and when do i know when my deposit has gone up? Hello Rosa, to open a trade on time scroll down your chat. You will see a tab labeled order on the bottom left.Click on it then click on by time, set the duration of your trade then call or put. About deposits, you will see an additional amount reflect on your account balance. It’s almost instant.